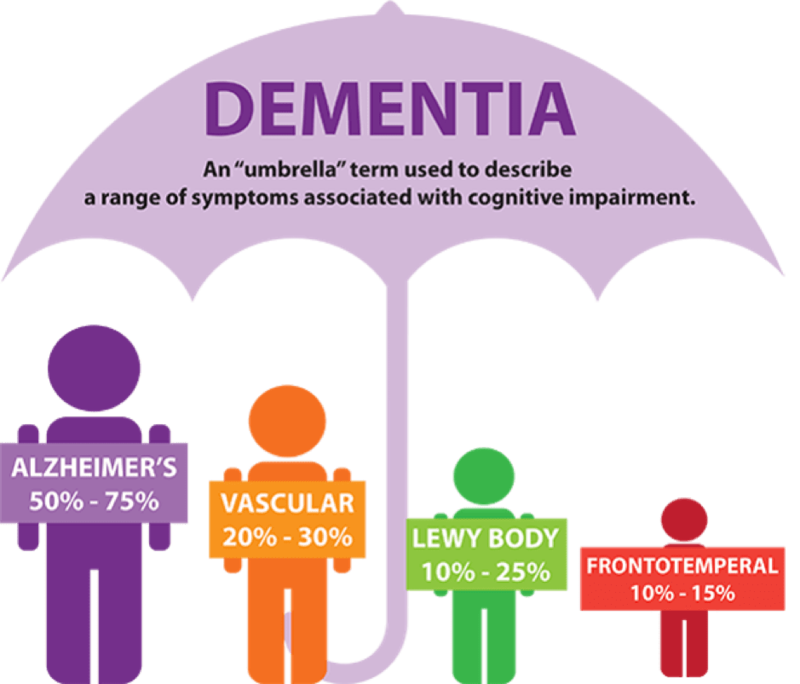 Dementia is category of brain diseases where a person shows gradually worsening problems with memory and thinking skills to the point that impairs their ability to function independently. 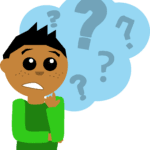 When diagnosed, dementia is sometimes referred to as a “neurocognitive disorder” (meaning brain-related changes in thinking skills that impair functioning). Early signs of dementia include changes in thinking skills, mood, personality, and coping. These changes can come as a surprise and cause confusion in the family. Getting a timely diagnosis can help you and your loved ones access information, resources, and support so you can better cope and plan ahead. Some types of dementia are progressive and cannot be cured. Other types of dementia are reversible, depending on the cause of the brain disease. The most common form of progressive dementia is Alzheimer’s disease, which makes up about 50-70% of dementias. Other types of progressive dementia include vascular dementia, Lewy body dementia, or frontotemporal dementia. Disorders linked to dementia include things like Huntington’s disease, Parkinson’s disease, or chronic traumatic encephalopathy (brain disease due to repeated traumatic brain injury). I’m Having Memory Problems – Do I Have Dementia? Inefficiencies in short-term memory and trouble “finding our words” are common complaints of normal aging. We also experience memory lapses and foggy thinking when we are under increased life stress, in physical pain, anxious, or feeling depressed. Our neuropsychologists can help diagnose and treat the reasons underlying any cognitive changes. Some dementias are caused by identifiable factors, like a vitamin deficiency or a virus. However, scientists and doctors don’t yet know the specific causes of many types of progressive dementia, like Alzheimer’s disease. Risk factors for dementia include a history of traumatic brain injury or depression. Cardiovascular risk factors, such as high cholesterol, elevated blood pressure, diabetes, and smoking, are also associated with a higher risk of onset and course of dementia. Researchers do not yet know how to prevent all forms of dementia. 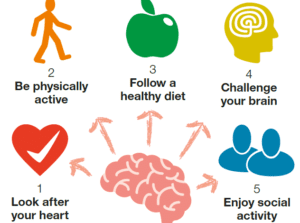 Most research studies show associations between certain lifestyle factors and dementia, but this does not necessarily mean that the factors cause a reduction in risk for dementia. … are associated with reduced age of onset and reduced risk of developing dementia. At this point in time, there are no medications, foods, or vitamins that have been shown conclusively to reduce the risk of progressive dementia, like Alzheimer’s disease. People who maintain a healthy, Japanese, or Mediterranean diet do have a reduced risk of dementia. This is typically attributed to the cardiovascular benefits of such diets. neuroimaging (brain MRIs or CT scans). At Brookside Psychologists, our caring neuropsychologists provide diagnostic testing for dementia. Neuropsychological testing involves tasks like copying drawings similar to the one shown in a picture, remembering words, solving puzzles, and subtracting serial numbers, for example. This helps us identify what behavioural strategies we can teach you to help improve coping. What are Common Signs of Dementia? Medications can help improve symptoms of some forms of progressive dementia but cannot always stop the disease from occurring or eventually progressing. At Brookside Psychologists, our psychologists provide behavioural strategies to improve memory, organization, problem solving, and mood issues. 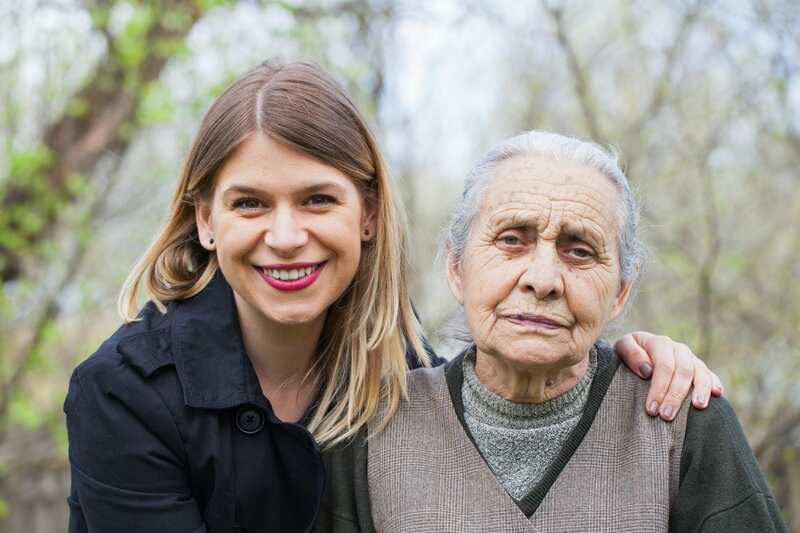 We help seniors presenting with cognitive difficulties due to either normal aging or dementia. Psychotherapy can help people in the early stages of dementia adapt and make preparations for the progression of the illness. Psychotherapy can also help family members cope and prepare for supports to be put in place for their loved ones. Sometimes supported recreational activities, like doing art, interacting with service animals, or engaging in gentle exercise routines can provide a sense of life engagement or structure for a person dealing with dementia. 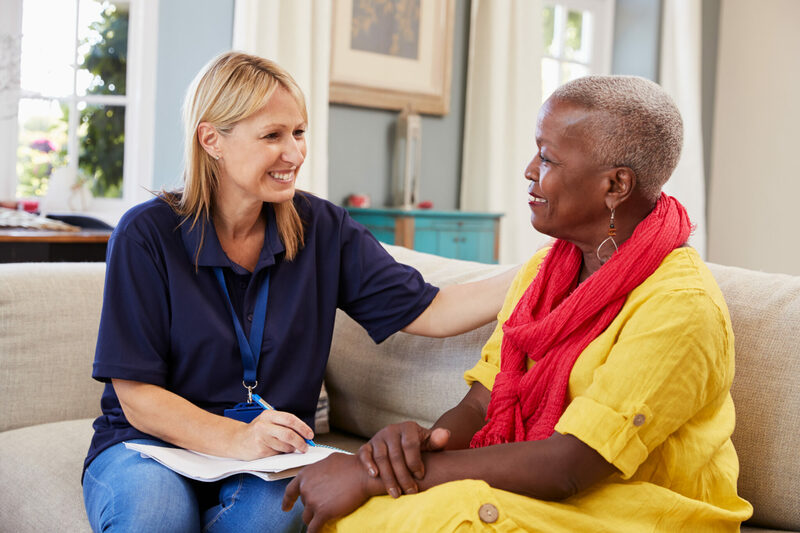 While therapies cannot stop the progression of some forms of dementia, therapies may help bring a sense of meaning to the process and reduce fear and isolation. A person with progressive dementia requires increasing levels of care-giving over the course of the disease. Without supports, caregivers are at increased risk for depression, anxiety, sleep difficulties, and isolation. 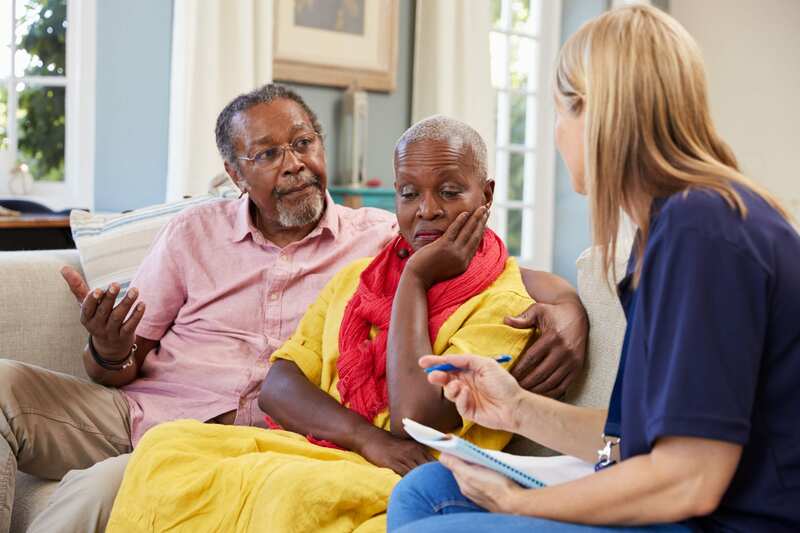 Caregivers’ mental health can be benefited by engagement in support groups for caregivers or individual counselling aimed at improving coping strategies. Our Neuropsychologists are trained and experienced in diagnosing dementia and providing support and guidance to families of people with dementia.